This is my fourth blog on the disgraceful AFR debacle, but as they have not yet responded appropriately, I felt like writing about it again. It seems the AFR simply refuses to engage in full and open conversation about their lapse in judgement earlier this year, and have chosen to ignore those of us who have made very valid complaints. Perhaps they hope we will just go away. However, as we head towards Dementia Awareness Month, it is important the issue of language in the media is raised again, as there will be an onslaught of articles and stories about PEOPLE with dementia during September. NOW it is the time for RESPECT for people with dementia, including from everyone in the media. I met two delightful journalists in the UK, who were offended that I had mentioned the challenges people with dementia generally have with the media and their use of disrespectful language, and accept there are a few who absolutely are doing the right thing, and also doing their best to change their own industry. Thanks to @DiverseAlz and others in the media for listening, and more importantly for acting. 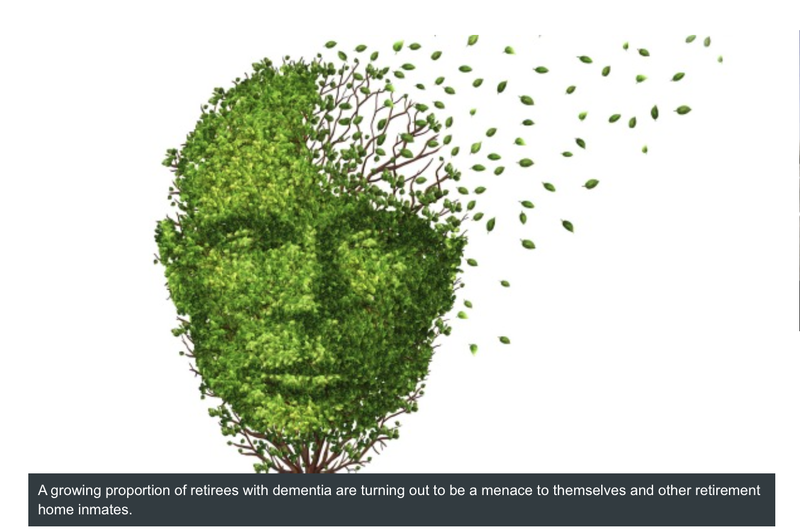 “Advocates and care providers are outraged over a newspaper article that labelled seniors experiencing severe behavioural and psychological symptoms of dementia (BPSD) as “mad, bad and dangerous to know”, sparking a new focus on media representations of dementia. The article has been met with fierce criticism from consumer groups such as Alzheimer’s Australia, as well as leading dementia advocates and researchers.” Follow here to read the full story. Professor Wendy Moyle did have part of her Letter to the Editor which she submitted published, in favour of an apology and retraction of the article. Professor Rhonda Nay asked for the sacking of the journalist and Editor in Chief. After many emails, I have still not had a reply, other than the first, which was obviously copied and pasted to everyone. Disgraceful, shameful, disrespectful, and we won’t go away. If we referred to homeless people, Indigenous people, even bikies who are into crime, or any other group of PEOPLE as mad, bad and dangerous to know, or as feral, it would be considered reprehensible. It seems, the Australian Financial Review is definitely not interested in the truth, but rather, allowing this example of their own very poor and extremely offensive journalism to continue without question, and without apology. PEOPLE with deMEntia are not feral, nor mad, bad and dangerous. They are people with a chronic, progressive terminal illness. Why is it that the AFR have been allowed to get away with such offensive references to PEOPLE with deMEntia? It was easily available just a few days ago, so maybe this is making a difference… Thanks for your support! Go Kate, we will all support you. I am just so disgusted! Has someone been in contact with Media Watch (ABC TV) about it? They might highlight the article, since it’s coming from a supposedly “reputable” publication like AFR. Give them a try…. Dear Kate…….it’s just ignorance…….they should know better !!…. In todays world, ignorance is NO LONGER AN EXCUSE, at least in my opinion! Kate, Had not seen this before but it is incomprehensible to me that anyone in this day would refer to persons with dementia that way! They are truly showing their ignorance and insensitivity! If everyone would start treating persons with dementia as the whole, worthwhile people they are with the same feelings and needs as everyone else, the BPSD that they refer to would be a thing of the past! When they are propagating the myths and creating demeaning labels they are definitely showing their ignorance! I think They definitely need to apologize and do a full retraction! Hi Kate–can we launch a national petition about this through Change.Org? I would favour asking for a public apology, retraction and a full page spread indicating this in a national newspaper. If you want to set it up, I will 10000000% support and promote it! It is a PERFECT plan, to start off or precede Dementia Awareness Month, and I LOVE you for thinking of it. Hi Kate–all done now–https://www.change.org/p/editor-australian-financial-review-australian-financial-review-to-apologise-to-people-living-with-dementia?recruiter=58731130&utm_source=share_for_starters&utm_medium=copyLink. I needed a different photo–but thought it best to get this out.